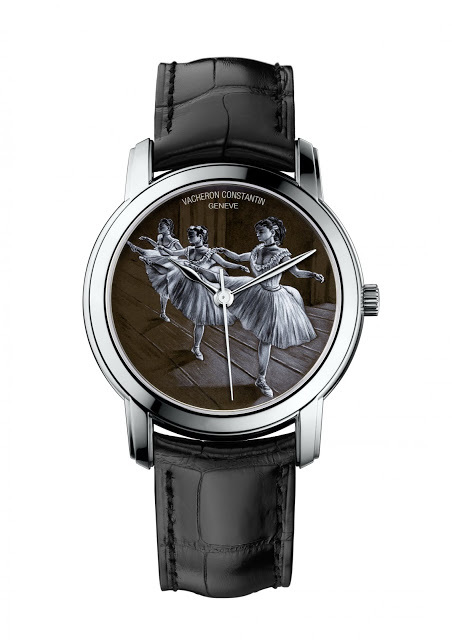 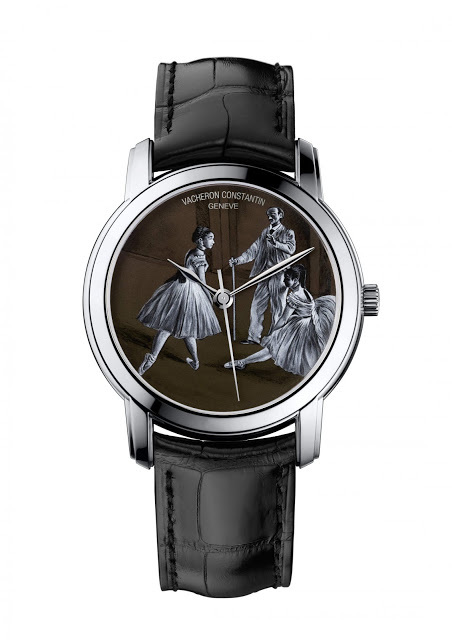 To celebrate 300 years of the École Française de Danse, Vacheron Constantin has released a trio of unique watches, the Métiers d’Art Hommage à l’Art de la Danse. 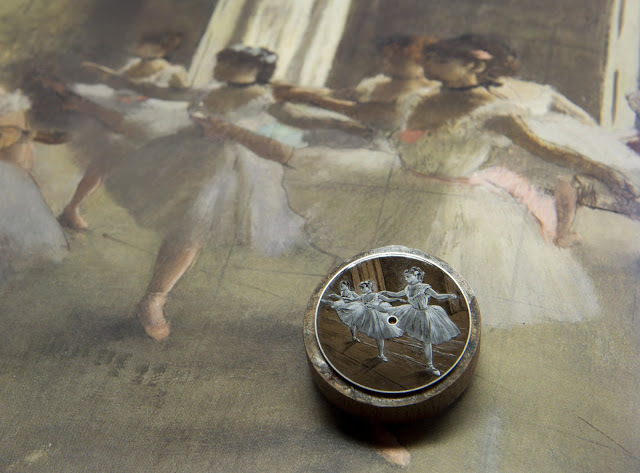 Each depicts an Edgar Degas painting of dancers using the grisaille enamel technique. 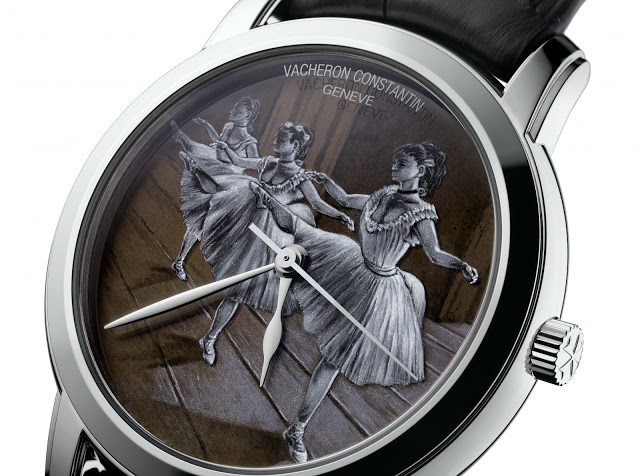 For the 300th anniversary of the École Française de Danse (which means “French Dance Academy”), Vacheron Constantin has created three unique timepieces. 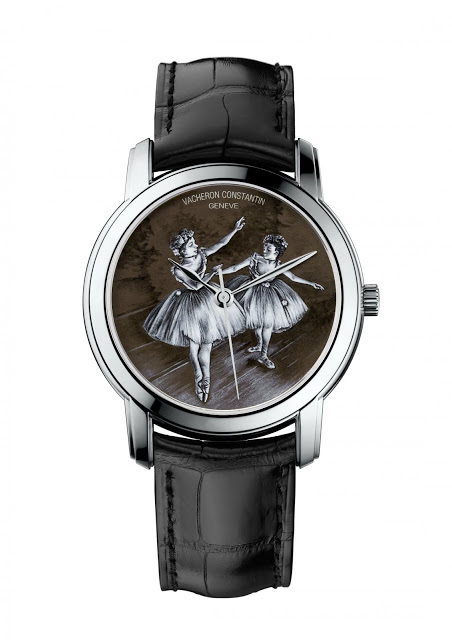 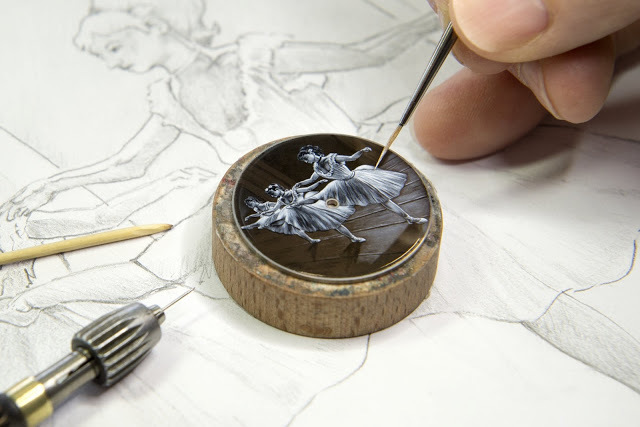 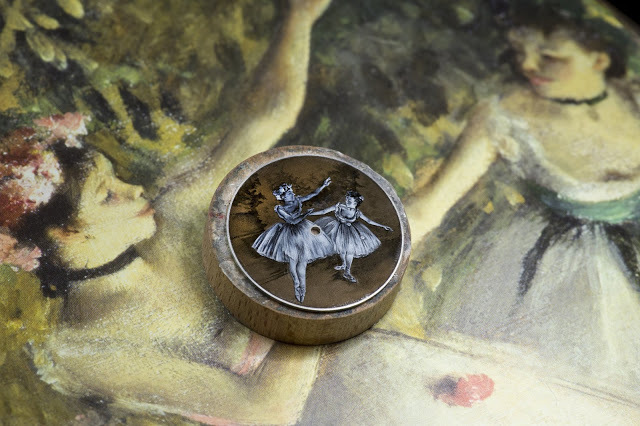 Each has a grisaille enamel dial, with a motif inspired by a particular work by Edgar Degas. 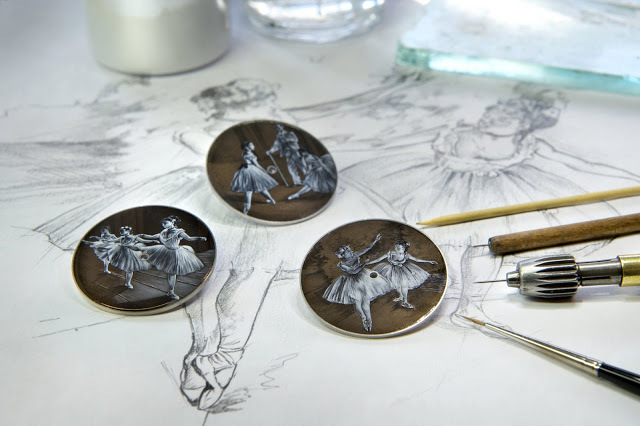 Set against a translucent brown base, instead of the typical black for grisaille enamel, the dancers are executed in Limoges white enamel. 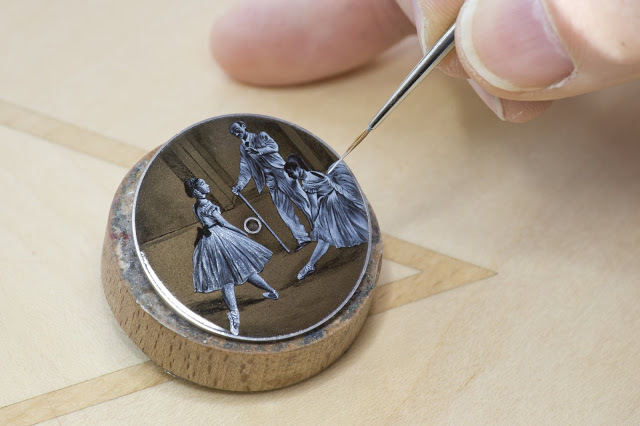 The grisaille enamelling techniques tell calls for lines and shades are then etched with needles and even cactus thorns. 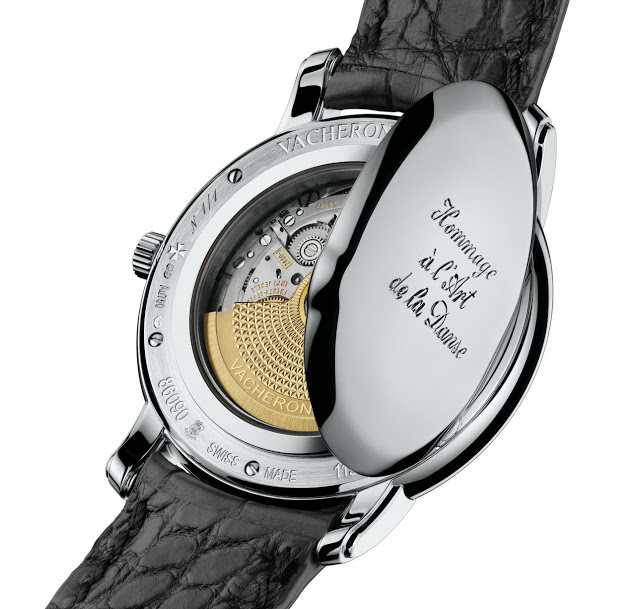 The case is a 40 mm white gold case with a hinged, officer case back which opens to reveal the the in-house and Geneva Seal certified cal. 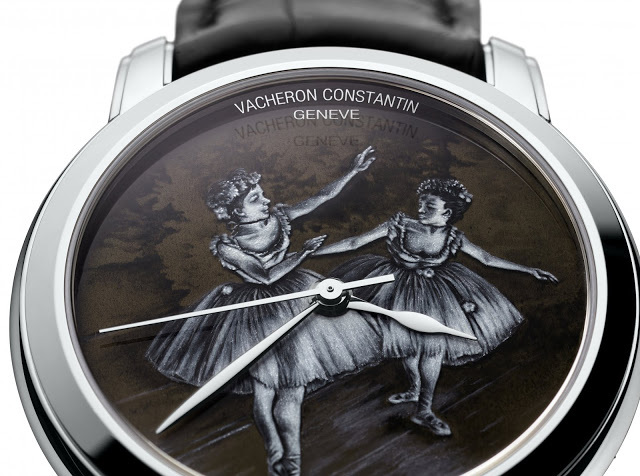 2460 SC inside. 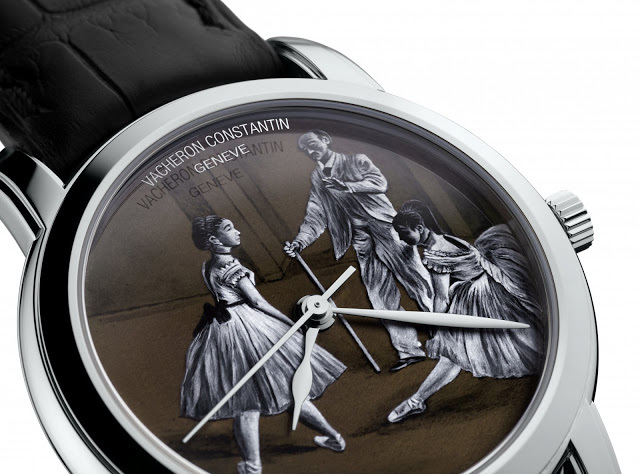 Each of these three is a unique piece, and can be ordered only from Vacheron Constantin boutiques. 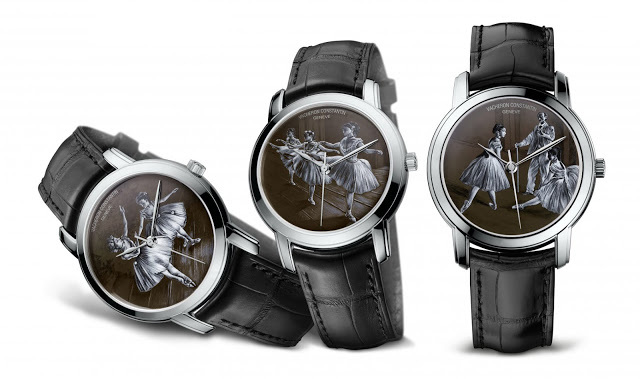 The retail price will be about EUR100,000 before tax for the set.